Flexgate is a design flaw in the ribbon cable connecting the body of the Macbook to the display. The symptoms include stage lights on the screen and the screen going dark after closing it to a certain angle. Most people will fix it by replacing the whole screen but we have discovered a way to fix the existing screen. Stage light effect – You start setting stage lights at the bottom of your screen especially if you set the brightness to high. Backlight shutdown – Your screen goes black after opening the lid after a certain angle. Initially, the fix for this was to replace the whole screen which runs about $1,200 Apple or $800 through third-party repair store. We’re pleased to announce that we have discovered a way to repair this issue without replacing the screen and at a fraction of the price required to replace a screen. We will be providing this service for $450 and can have your Macbook repaired within 2-3 business days. 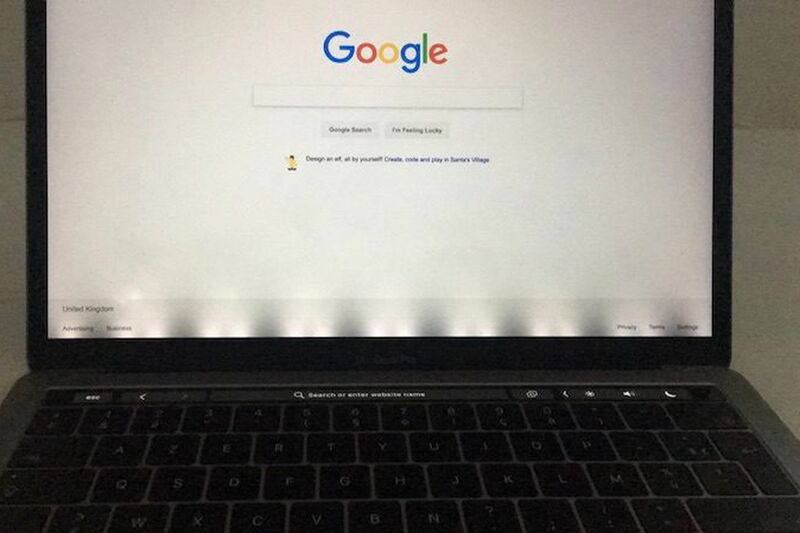 The stage light effect is shown on this MacBook Pro with Touch Bar. Do you have questions about the MacBook Flexgate Repair?